As we prepare for StokerCon, and in anticipation of our nomination for our anthology New York State of Fright, our members have been very busy. 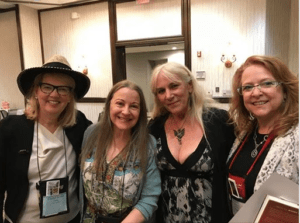 Elizabeth Crowens is attending Sleuthfest in Boca Raton, Florida, getting ready for the release of Silent Meridian – The Time Traveler Professor, catching up with old friends of HWA-NY like Heather Graham. 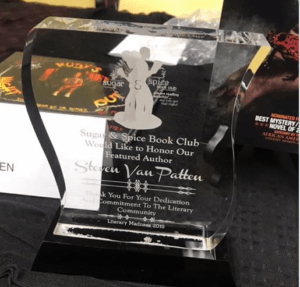 Steven Van Patten was named Featured Author and presented with an award during the Sugar and Spice Book Club Literary Madness Event held in Harlem on March 9. He and Marc Abbott launched their new anthology, Hell at the Waystation, on March 23. April Grey is planning a reading by authors from her new anthology, Hell’s Heart, on Tuesday, May 21 at the KGB Bar. Carl Paolino is putting together a book fair in Maspeth Queens on Saturday, May 18. Several members will be there reading and selling books. Several members will be at HELIOsphere April 5–7. 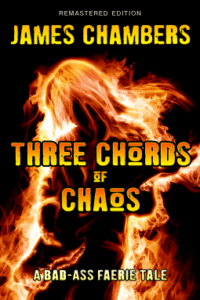 James Chambers will have a book launch there for Three Chords of Chaos. 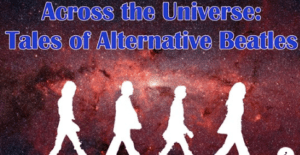 Randee Dawn has a Kickstarter running for her future anthology Across the Universe: Tales of Alternative Beatles. She is getting very close to her goal. We also congratulate our member Ellen Datlow for her nomination in the anthology category. On a sad note, the chapter is mourning the death of Jeff C. Stevenson after a long illness. 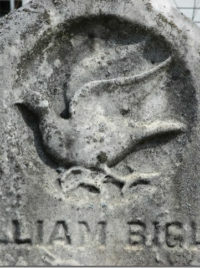 His story, “The Insects of Seneca Village,” appears in the Bram Stoker Award®-nominated anthology New York State of Fright. The book features stories by members of the chapter to benefit the charity Girls Write Now. Jeff was very excited about the nomination. He will be missed.